These days, digital dentistry can dramatically improve a number of procedures. Dental implant placement is one of them. 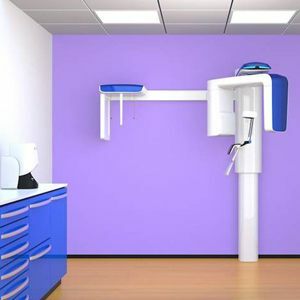 With the help of the cone beam scanner, we can use a computer to guide the process and ensure that each dental implant is placed precisely where it should be for optimal success. Keep reading to learn more about how the cone beam scanner improves the success rates for dental implants in Orlando. What Is Computer Guided Placement? 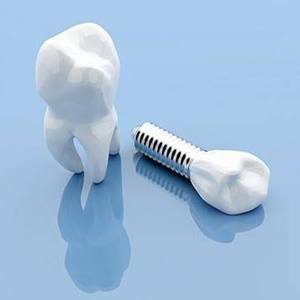 Dental implant procedures are highly successful, but complex procedures which require extreme precision. Inserting the implant post right where it needs to go is crucial for the proper fusion between the implant and jaw bone. The cone beam scanner and guided implant placement help with both. When it comes time to place dental implants, your dentist will need more than a traditional x-ray to put together a helpful treatment plan. The cone beam scanner will first capture a 3D image of your oral anatomy, creating a detailed map of your jaw, including all nerves, blood vessels, and bone tissue. With this tool, your dentist can zoom in on particular areas of interest and also easily diagnose the need for a bone graft procedure. Once the 3D image has been created, a digital test-run of implant placement can take place. This allows your dentist to ensure that each one is placed optimally in the jaw for maximum precision. Adjustments can be made as needed after this test run. Once everything is set, your dentist can then convert the digital model into a surgical guide for the actual dental implant placement. It may sound complicated, but placing dental implants is far more precise and efficient when it is guided through a computer with the cone beam scanner! Is Computer Guided Placement Right for Me? Not everyone who needs dental implants will require the procedure to be done with a computer-guided placement. This technology is usually reserved for patients who have very complex needs. A conventional procedure is often possible for patients who have not been missing teeth for very long and are in generally good oral and overall health. Dr. Maali will discuss your procedure and communicate whether or not computer-guided placement with the cone beam scanner will be necessary for your placement. If you are exploring your options in tooth replacement, take the time to make sure that the dentist in Orlando you choose offers state-of-the-art technology like the cone beam scanner -- like us! To book a visit with Sand Lake Family Dental, we invite you to contact us today.